Visakhapatnam is the largest city, both in terms of area and population in the Indian state of Andhra Pradesh. It is located on the coast of Bay of Bengal in the north eastern region of the state. 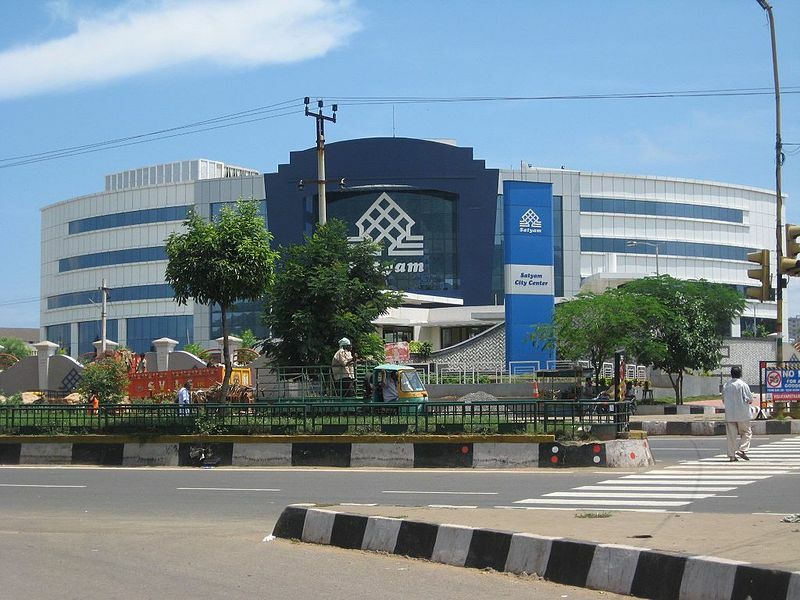 It is the administrative headquarters of Visakhapatnam district and also the Financial Capital of Andhra Pradesh. Visakhapatnam is the principal commercial hub of the state, and contributes to its economy in many sectors such as heavy industries, tourism, industrial minerals, fishing, pharma and information technology. Visakhapatnam has developed into a major economic destination. It has all the sectors like Industrial, Fishing, IT, Pharma, Export & Imports by Sea trade etc. The city was identified as one of the fastest-growing in the world, economically and demographically. Several factors contributed to its economic growth, including the natural harbour, rail, road and air connectivity to national and International destinations. There are many Special economic zones and industrial corridors such as, VSEZ, APSEZ, APIIC, Aganampudi Industrial Park, Visakha Dairy, JNPC, Brandix Apparel City etc., are located in and around the city. Andhra Pradesh Industrial Infrastructure Corporation (APIIC) is a special economic zone (covering 5,770 acres (23.4 km2). It is occupied by industries such as WS Industries, Pokarna Limited, Uniparts, Confidence Petroleum, Southern Online Bio, Nagarjuna AgriChem, Anjaney Alloys, Maithon Alloys and Abhijit Ferro Alloys. Asian Paints to set up Rs. 1750-cr greenfield plant near Vizag. Brandix Apparel City is a textile-based SEZ covering 1,000 acres (4.0 km2). The aim of this project is to provide 60,000 local jobs. The SEZ has textile manufacturers namely Pioneer Elastic Fiber, Ocean India, Quantum Clothing, Fountain Set Group and Limited Brands. Pilkington, an automotive-glass manufacturer is also has its company. Jawaharlal Nehru Pharma City (JNPC) is the only pharmaceutical SEZ in India, with 58 pharmaceutical companies including PharmaZell of Germany and Eisai Pharma of Japan. The defence controlled Hindustan Shipyard built India's first ship Jala Usha. Ports and Shipyard led to many private sectors to set up large-scale industries. Some of them include, Visakhapatnam Export, GAIL, HPCL, BHEL, Hindustan Zinc, Dredging Corporation of India, Coromandel Fertilizers, RINL and LG Polymers, Jindal Stainless Steels, Synergies Castings, Rain Calcining Limited, Reliance, Brandix, Essar Pellet Plant, Andhra (Cements, Petrochemicals and Ferroalloys) Ltd. etc. Visakhapatnam has a steel plant, whose corporate entity RINL is the second largest state-run steel industry. The capacity of the plant is 6.3MT, is planned to become a 20MT plant in the future, the largest plant in a single location. The plant had revenues of ₹144,570 million (US$2 billion) for 2011–2012 and has about 17,800 employees. 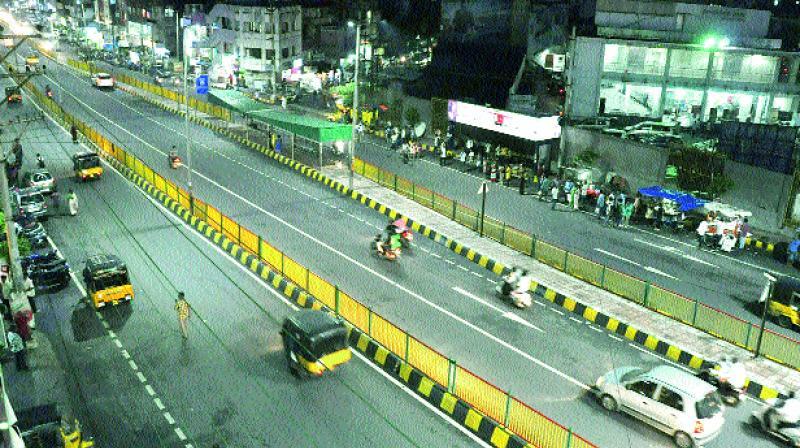 Visakhapatnam is one of the major cities on the east coast of India connected by NH5, a major highway and a part of the Golden Quadrilateral system of Indian highways connecting Chennai and Kolkata. The city has a broad network of roads. The city has a total road length of 2007.10 km. State owned APSRTC runs buses to various places of the state. The city's railway station was originally called Waltair railway station. In around 1987, Mr. D. V. Subbarao, the then mayor of Visakhapatnam, changed the name to Visakhapatnam. 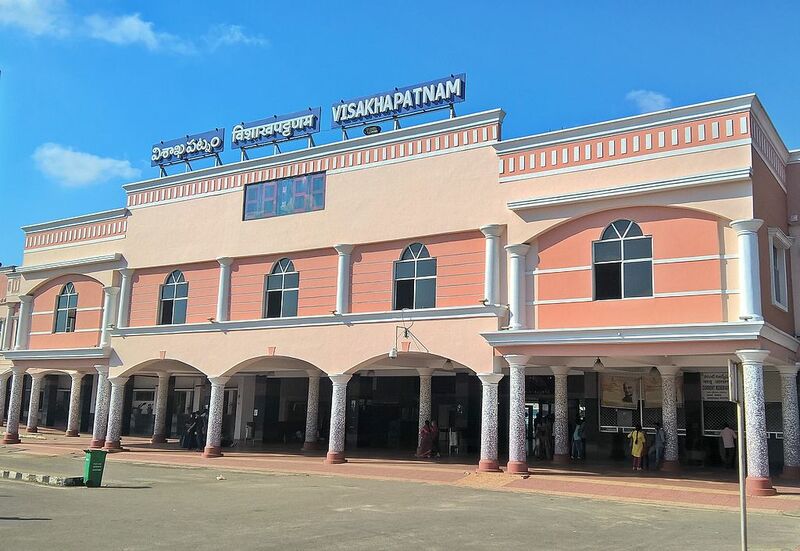 Visakhapatnam railway station is administered by the East Coast Railway of Indian Railways and is the headquarters for the Waltair Railway Division. It will be de-linked from East Coast Railway once a new railway zone for Andhra Pradesh is formed and will be part of new zone according to AP Reorganisation act 2014. Visakhapatnam Airport is the busiest airport in Andhra Pradesh. It is connected by daily flights with Dubai, Singapore, Kuala Lumpur, Chennai, Coimbatore, Delhi, Mumbai, Bangalore, Hyderabad, Kolkata, Kochi, Mangalore, Bhubaneshwar, Raipur, Tirupathi, Port Blair and Vijayawada. Visakhapatnam Airport has been operating night flights, and the airport is 24hr operational. On the east coast of India, Visakhapatnam serves as the gateway waterway for Andhra Pradesh. It has one of the country's largest ports, and the oldest shipyard on the east coast. It is a land-locked harbour, as connected to the sea by a channel cut through rock and sand. Visakhapatnam is one of the busiest ports in India. No Comment to " VISAKHAPATNAM - Industrial Development Post Independence "